Norway maple. 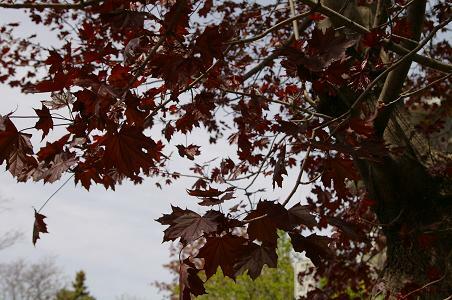 See Norway maple for the rest of the features of this tree. There is another variant similar to crimson king, Schwedler. It's purple colour does not last the summer..